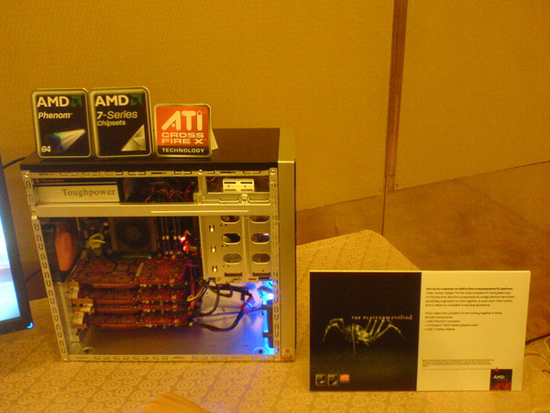 Presenting AMD’s Spider Platform. 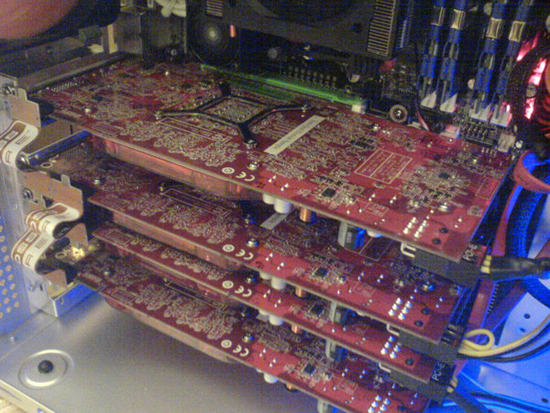 Images shown are from an AMD quad Crossfire Spider system. 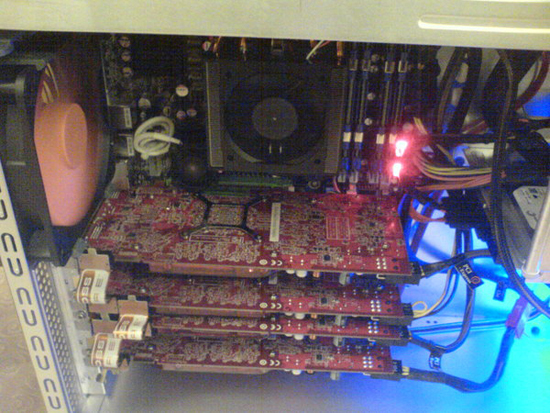 Spider is based on AMD’s quad-core Phenom processor, the company’s RD790 chipset and a pair of graphics cards fitted with the upcoming RV670 GPU.